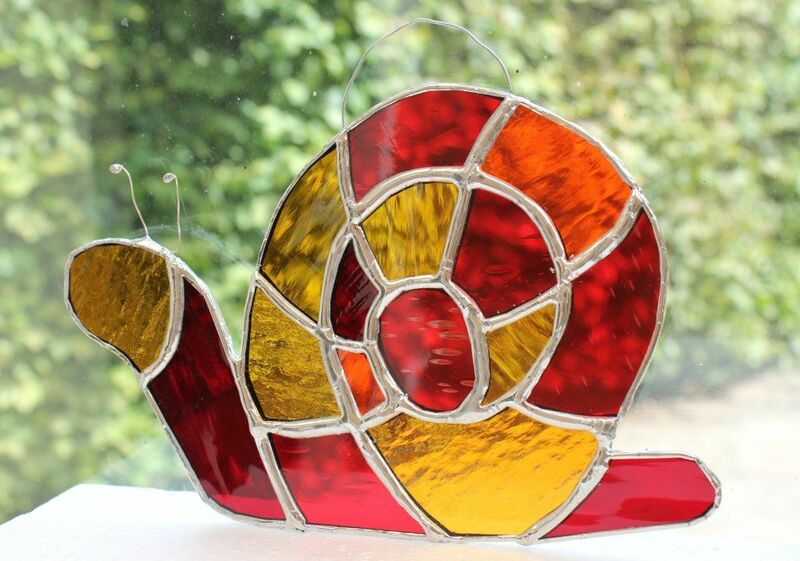 Glass snail hanging with wire eyes and wire hanging loop. Suitable for hanging or standing in front of a window or against a wall. Layout, shades and types of glass will vary as each item is made individually.